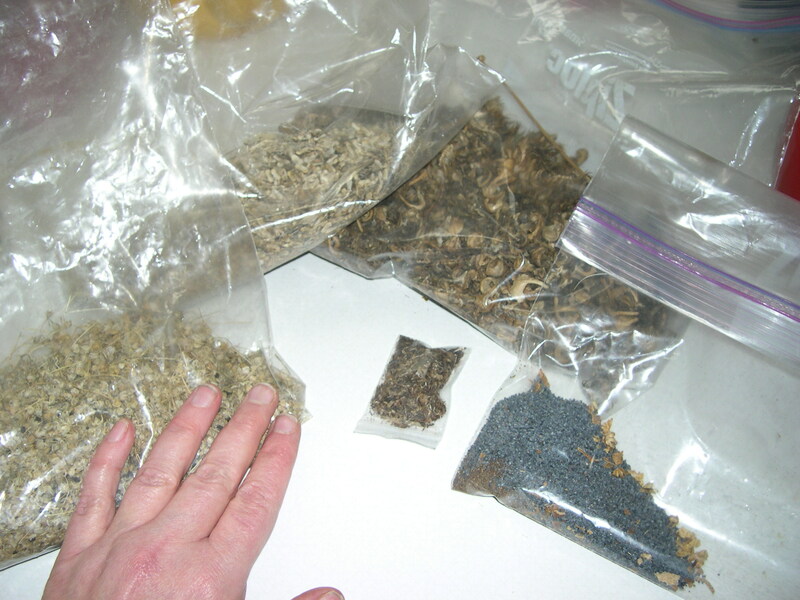 Just a few seeds from my gardens last year. Artichokes, Purple Poppy, Calendula, Walla Walla onion seed and some kind of really pretty wildflower seed, I don’t know its name. All these organic seeds are for free! Thousands and thousands of organic seeds for free! 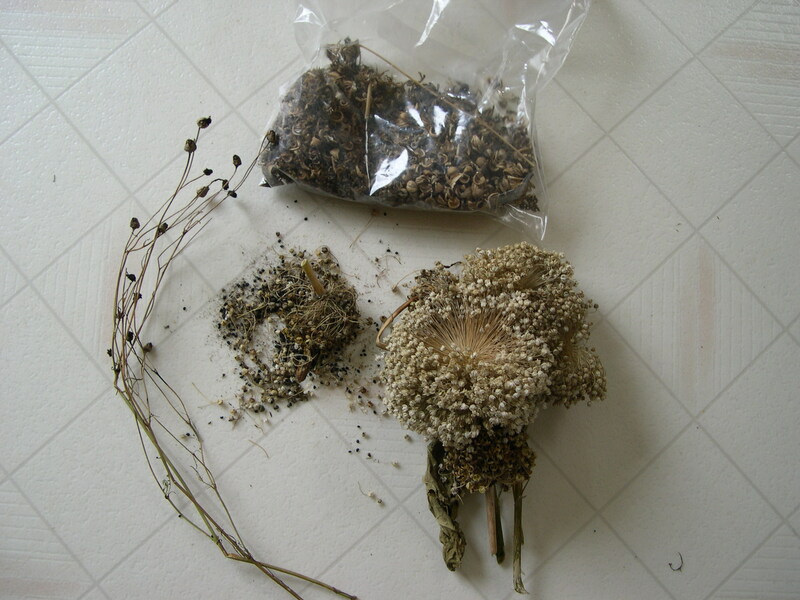 The poppy seeds are for bread and cookies, but they are pretty too and the seed hull can be ground and brewed as a tea that will kill the pain of a cough and put you to sleep. Most of my diet is made up of green vegetables, with small portions of legumes, roots, grains, fruit, and animal products sparingly. I found that through trial and error organic is a must along with large amounts green leafy vegetables. I tried eating this way without going organic and my fibromyalgia became so bad I could hardly walk. I can’t eat GMO or crops with pesticide, I get very sick. My skin breaks out, the bottoms of my feet hurt, I can’t think very well, I get emotional and moody, my lower GI hurts all the time, I get headaches and foggy thinking. I avoid coffee and sugar too, I gain weight easily even when I drink black coffee and I feel really anxious too. This year my garden’s were killed by -4 degrees weather. 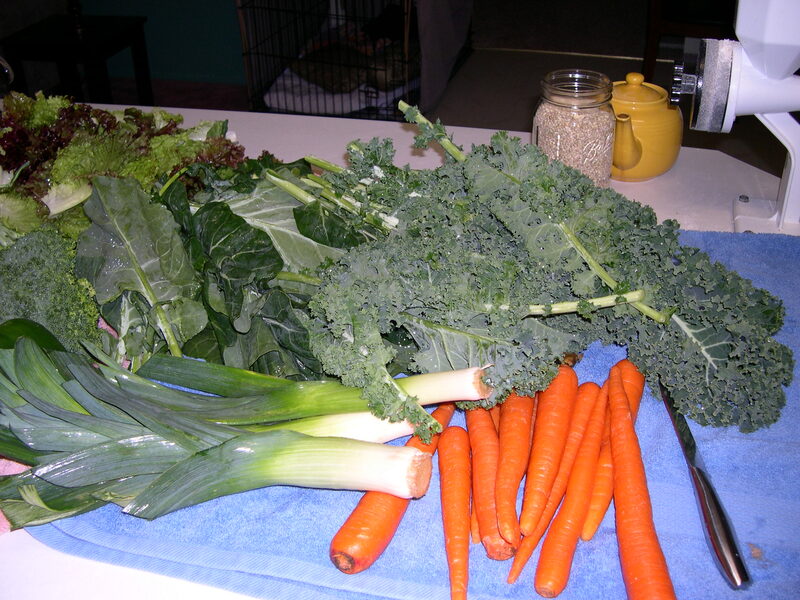 Last year I ate kale, carrots, leeks, turnips, beets, and collards all through a very mild winter. This fall we will be getting a nice sized green house for my winter greens! I won’t have to go shopping at all if I buy fancy chocolate in bulk for my husband. I loath shopping, seriously loath it! Lucky for us one of our big corporate grocery store’s has put in a very large well stocked organic produce section that is killer! I’ve sent congratulations emails to the CEO of Fred Meyer for doing this and will continue to praise any store that stocks local and organic products. I buy just enough greens for my 2 week meal plan. Organization saves money and cuts down on frustration after a long day at work and having to cook and clean kitchen on top of the work and commute fatigue. This saves me tons of money, time, and no waste! The only reason I go shopping in the winter is because I run out of greens and my husband gets cravings for fancy chocolate. I buy bulk grains, legumes, and can everything else during harvest season from local farms and my garden, including my meat. I get fresh eggs from my backyard chickens. I shop every two weeks, we are 20 minutes away from any kind of market and I save money when I don’t go into to town. 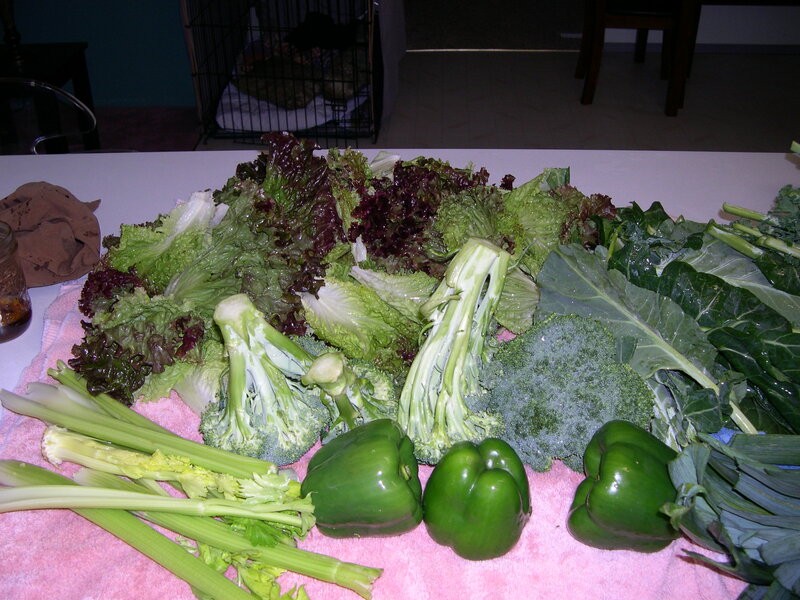 1. take apart bundled greens, set them in a clean sink and fill it with cold water. Let soak for 20 minutes. Rinse veggies 3 times after soaking. With Kale and Collards I cut the leaf away from the main leaf vein, which is tough. I save both leaf and vein for green smoothies and stews. I chop up both into bite size pieces and store in plastic bags. With my broccoli I chop of a small part of end stock and let soak. This helps the veggie stay crisp and store in veggie bin in my fridge. If the broccoli starts looking tired towards the second week, I chop a bit of the end stock off and soak for 20 minutes. The broccoli soaks up the water and will last until my next shopping trip. I eat my lettuce first week and the winter crops my second week. Lettuce is tender and should be eaten as soon as possible but it will also last two weeks if broken leaf from stock, soaked in water 20 minutes, rinsed, let dry on towel and stored in a plastic bag leaving bag open for air circulation. I chop up my sweet green peppers, leeks, carrots, and celery, store them in a glass container. Prep is done and they will last two weeks as well, washed and prepped, ready to go! 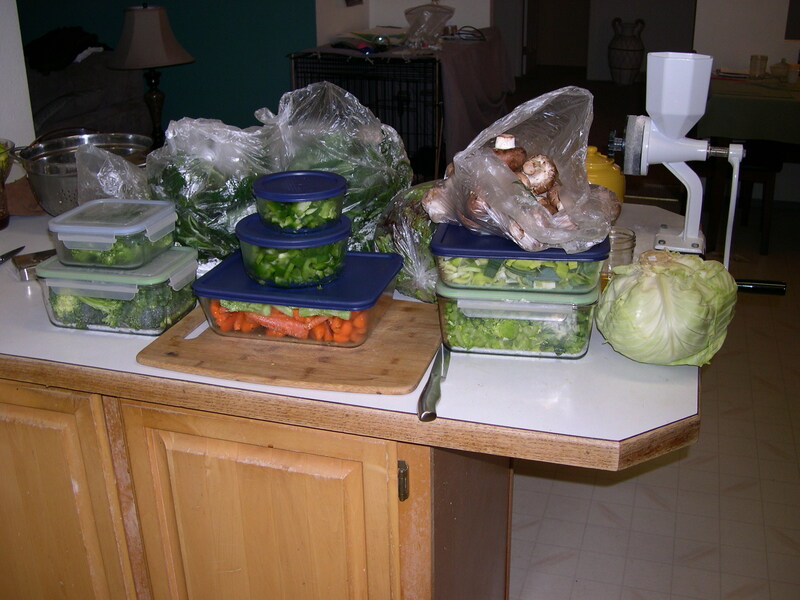 One afternoon of prep and 2 weeks free of washing and prepping veggies without any waste.